This post on New Year’s Eve Family Party Ideas is in partnership with Netflix. Any opinions are 100% my own. Once again it feels like the year flew by and I’ll be honest, a year I’m looking forward to closing the door on. 2018 is going to be an amazing year and I’m determined to make sure it is. Before the clock strikes midnight I plan on celebrating with a trip to the local children’s museum with the twins and fun with the family at home after! 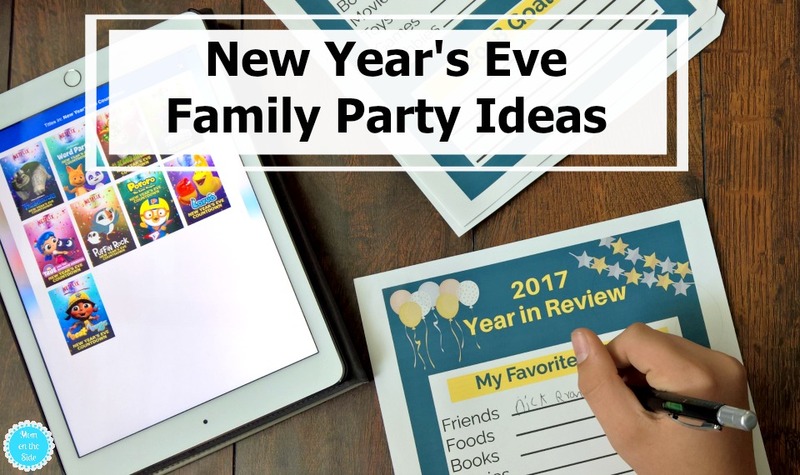 If you need some New Year’s Eve family party ideas I’ve got some for you, along with a 2017 Year in Review printable for the kids. Celebrate all the awesome things that happened in 2017 with a Year in Review Printable. Favorite things from 2017 as well as 2018 goals will give something for kids to look back on when they get older. Is your Christmas tree still up? Take down the ornaments and trimmings from Christmas and turn it into a New Year’s Eve tree! My mom did this one year by sticking noisemakers, streamings, and ribbons all around the branches. A top hat with the year sat on top in place of the star. Quick, easy, and fun decoration before the tree comes down for 2018. Fill a time capsule for 2017 that you can look back on years later. Have everyone in the family pick something they can include that will remind them of 2017. 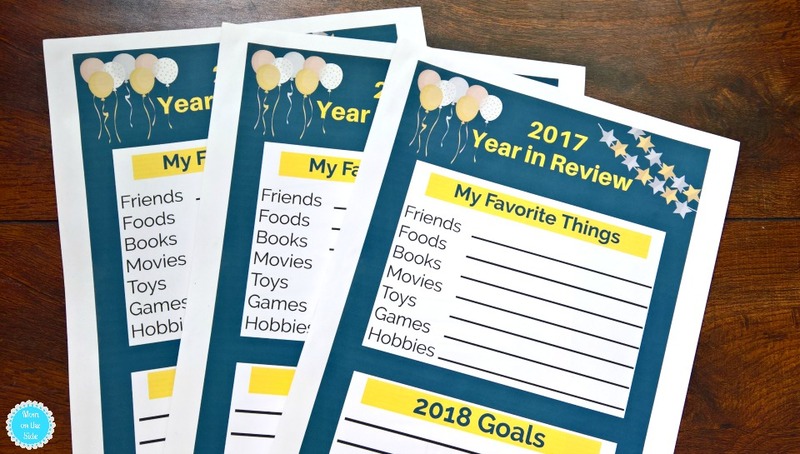 You could even include the 2017 Year in Review Printables from everyone! Everyone picks out their favorite game for a game night marathon. Charades are one of our favorite games to play on New Year’s Eve with Monopoly a close second. Another fun idea is Minute to Win It Games! Homemade Pizzas – make a big one or individuals so everyone can choose their toppings. Taco Bar with hard and soft shells as well as all the fixings. Sausage, Cheese, and Crackers along with Hamburger Cheese Dip and Chips. How are you celebrating New Year’s Eve with your kids?